As Britain – and indeed, the rest of the world – reels from the ramifications of the Brexit vote in the UK, we are already hearing many explanations about the motives of those who disregarded so much expert testimony and voted to leave. Watching the television as the news sank in, I heard countless descriptions of the Brexit vote – from journalists and campaigners on both sides – as a kind of anti-establishment insurgency. Yet, in many ways, that was precisely what it wasn’t. What 52% of voters did on Thursday was very much in line with reported conventional wisdom. Research carried out by Loughborough University during the campaign showed a clear bias towards Leave in the newspapers most people read. 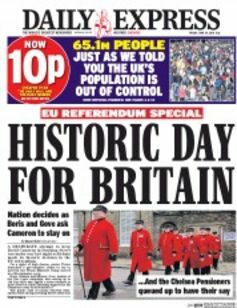 Across the UK national press, Leave articles outnumbered those on the Remain side by 59% to 41%. When weightings for circulation are factored in, this ratio becomes an overwhelming “18% pro-IN and 82% pro-OUT”. While the broadcast media tried hard to remain balanced, the overall media climate clearly favoured Leave. If there was anyone resisting what they were being told to do, it was many of the 48% on the Remain side. It was the Sun wot got it wrong. But even so there was an air of shocked surprise in even some of the papers that had favoured Brexit. 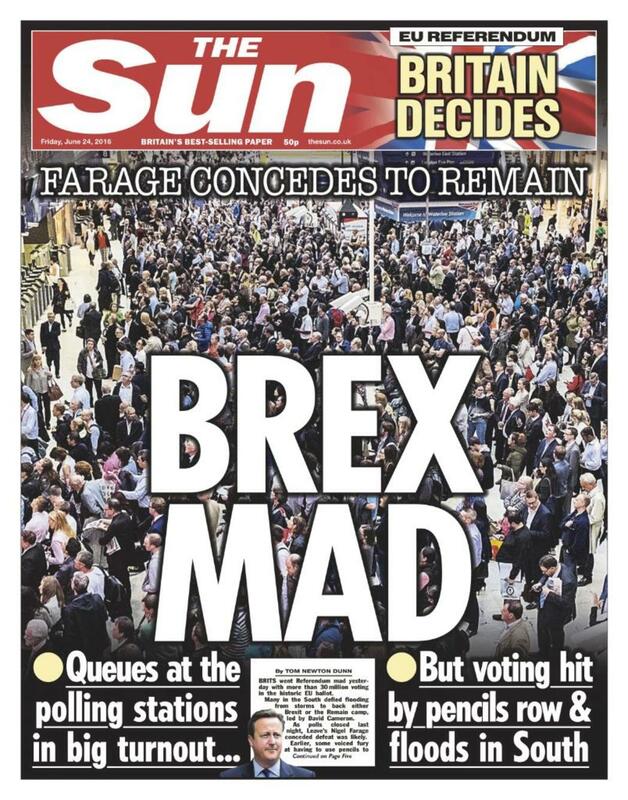 The Sun, for example, rushed out with a front page almost as soon as polls closed, quoting Nigel Farage’s rather strange apparent – and certainly well premature – concession. The steadily eurosceptic Daily Mail, meanwhile, mixed triumphalism with caution: giving its right-wing columnist Katie Hopkins free rein to gloat while at the same time cautioning of financial turmoil to come. Somewhat late, it warned its middle England readership that their savings and investments might be in for a bumpy ride. On the openly Remain side, The Guardian had an air of shock about it. Polly Toynbee mourned for a Britain that has broken in two, thanks to the way eurosceptic media and politicians had “injected poison into the nation’s bloodstream”. 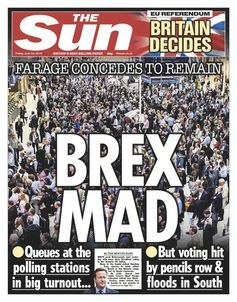 So was it, to echo the now-infamous boast by The Sun, the media wot won it for Brexit? Many years of research tells us that it is hard for campaigns to inspire dramatic shifts in public sentiment. The seeds of the Brexit vote were sown long before the campaign began – and not just by a Eurosceptic press. When Cardiff University looked at the broadcast media coverage of the EU in recent years it found that – despite its commitment to impartiality – the EU was repeatedly cast as a negative force in people’s lives (bureaucratic, interfering, undemocratic and the rest). Political debate was not whether the EU was good or bad – it was almost a given that the EU was a problem – but how best for Britain to deal with such a behemoth. Nobody wins a referendum against an opposing media narrative … The Brexit vote was less a referendum and more of a reflex on how opinion-leading media have framed Brussels and Strasbourg for a long time. So while broadcasters were very careful to remain impartial during the campaign, they had – over a period of decades – helped to create a climate of negativity around the EU. By the time the campaign began, it was too late to ask the question: “What has the EU ever done for us?” – and even more difficult for politicians (who prefer not to go against conventional wisdom) to answer it. The news media would, reasonably enough, blame the politicians. Governments have, for obvious reasons, often portrayed themselves as standing up for Britain’s interests against the EU. It is always much easier to blame Brussels than accept responsibility as an influential member state. If David Cameron’s advocacy of the EU sounded unconvincing, it was because he had colluded in the traditional sport of bashing the EU for so long. Much the same could be said about immigration, which is invariably presented as a problem. 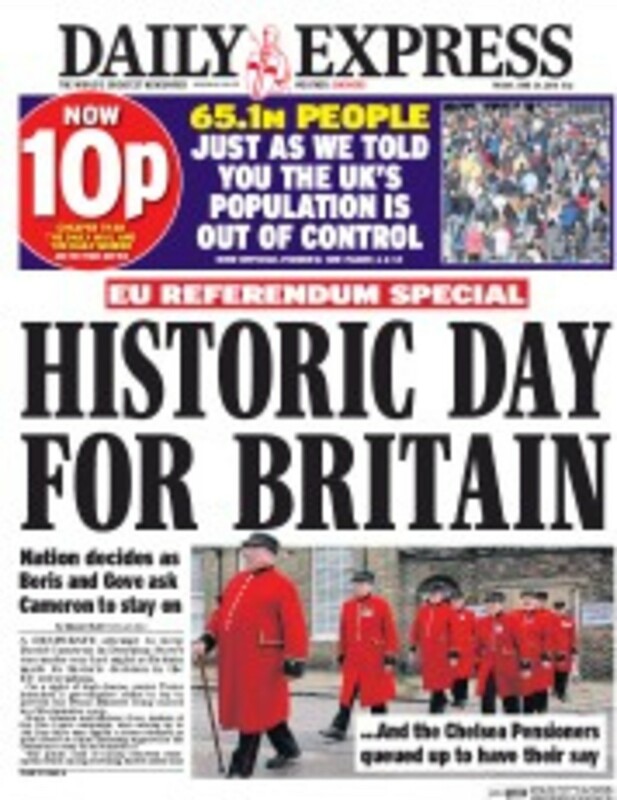 Happy days for the permanently europsceptic Daily Express. The media coverage, in this sense, reflected the political debate. Indeed, Media Tenor has found much the same patterns of coverage in other EU countries, for many of the same reasons. But is this good enough? Reporters have a duty to challenge politicians, and yet the Cardiff study found that when it came to the EU, they did little to question the basis for a politician’s anti-EU stance, and all too often replicated it. It certainly did little to educate people about the EU: people in the UK were almost uniquely ill-informed going into the campaign. A Eurobarometer survey last year found that only 27% of people in the UK could answer three basic questions about the EU – lower than in any of the other 28 member states except Latvia. So while the broadcasters (unlike the press) may have passed the test of impartiality during the campaign, it was after years of one-sided coverage. A vote to leave was, in that sense, the obvious default response, while the Remain camp was obliged to try and sell a damaged bill of goods. All this may, of course, be one reason why young people are so much less cynical about the EU. They are much not only less likely to read newspapers, but they have been subjected to fewer years of one-sided coverage.